Installing solar panels in Tasmania can assist you in reducing your power consumption from the grid, and help you reduce your footprint on the environment. How can solar power in Tasmania help you, and how does solar power feed back into the grid? Solar power is generated via the solar panels as the sunlight hits your solar panels. The energy obtained is then converted into DC electricity, which is sent to your inverter. The inverter then converts DC electricity from your solar panels into AC electricity. This solar power is then suitable for household use. 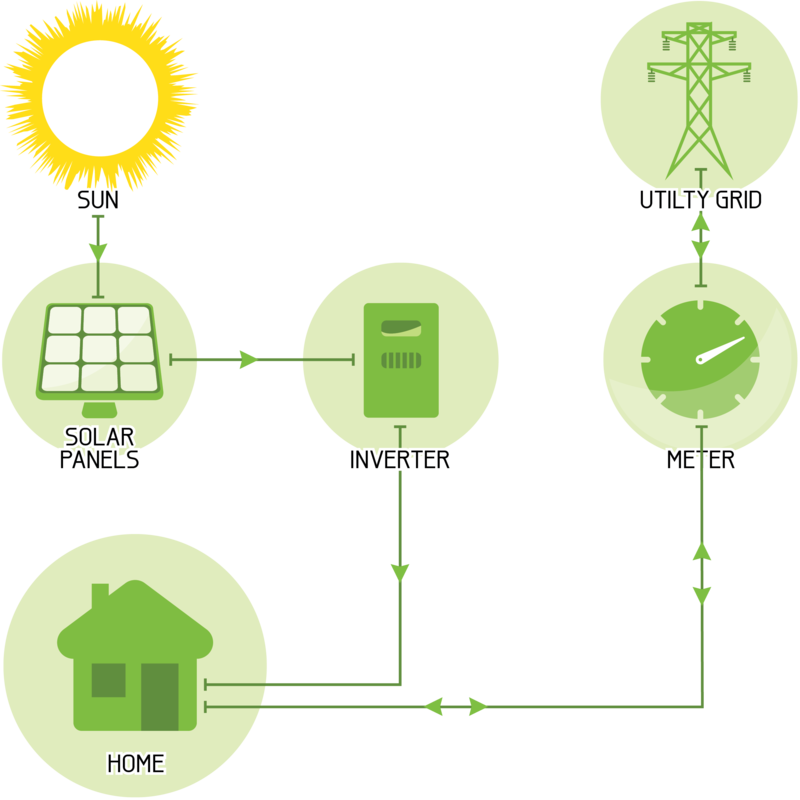 When your solar power system is producing more electricity than is required, it feeds the excess power back into the grid. The excess power is measured by the feed-in tariff (see ‘Tasmania Solar Feed-In Tariff” on the Tasmanian Residential Tariffs page). As of 1 July 2018, you will receive 8.541 cents per kilowatt produced on this tariff. This will show as a credit on your electricity bill.